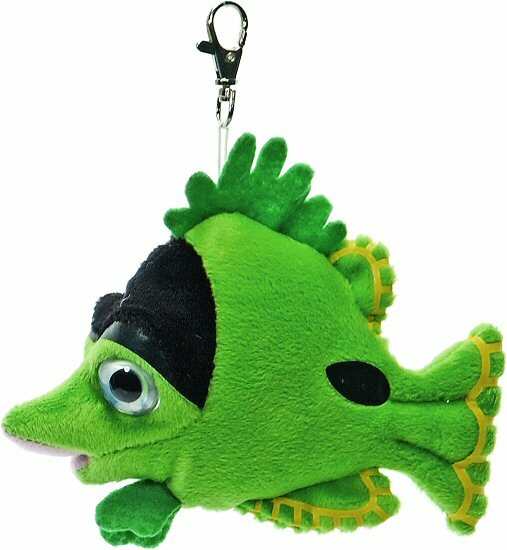 Bright and bubbly, this fun keychain tropical fish stuffed animal is simply the perfect pet as it travels with you on all your imaginative adventures. 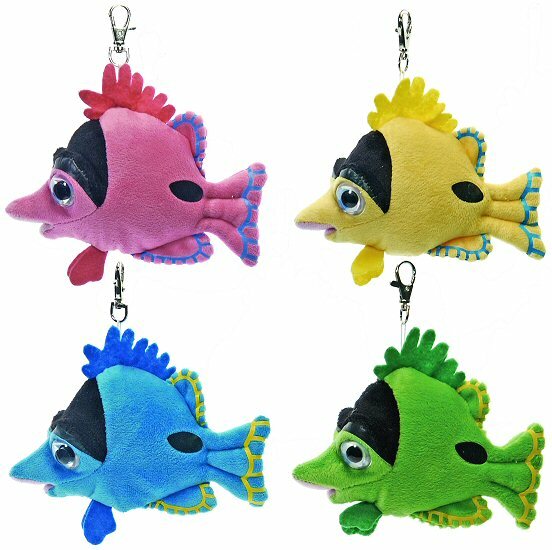 Available in your choice of four vibrant colors - turquoise blue with yellow accents, lime green with yellow accents, hot pink with blue accents, and yellow with blue accents - this cute plush fish has soft fur, flexible felt fins, and large watchful eyes. 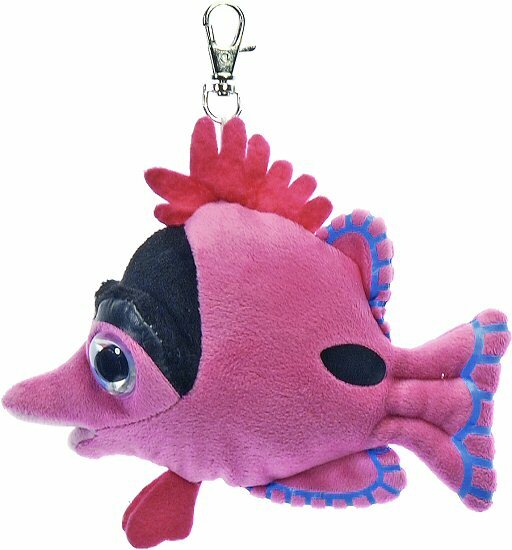 Whether attached to your backpack, belt loop or purse, this colorful tropical fish keychain is the perfect take-along pal. 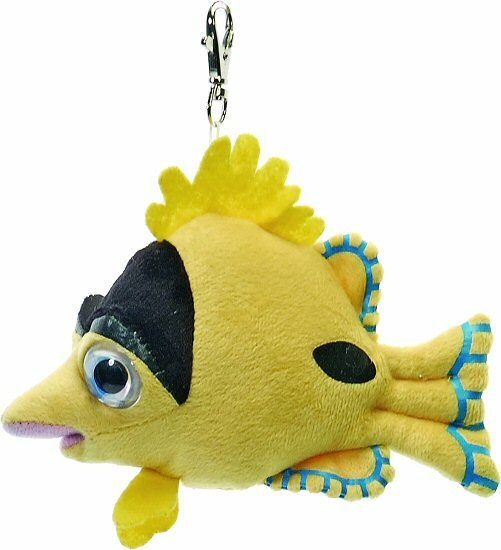 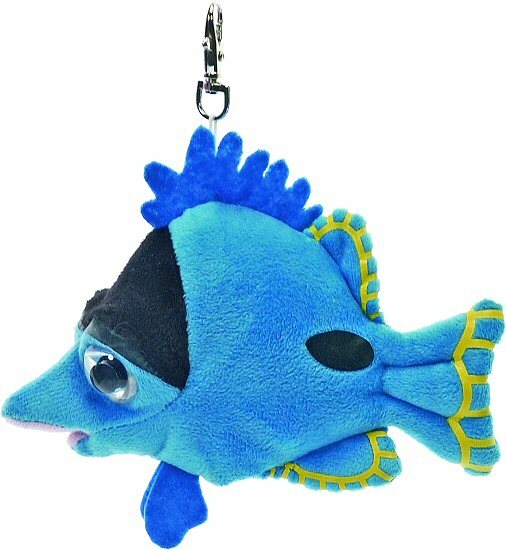 Plush keychains such as this tropical fish are also great for birthday treat bags and giveaways.